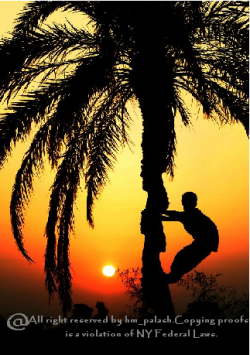 Date trees grow all over Bangladesh,and in wintertime, the trees are sliced open at sunset so juice can be collected overnight. 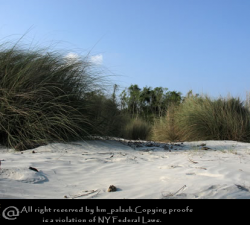 Cox's Bazaar is known for its wide sandy beach which is claimed to be the world's longest natural sandy sea beach. 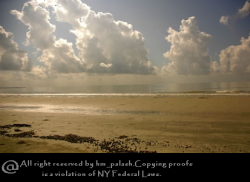 It is an unbroken 125 km sandy sea beach with a gentle slop. 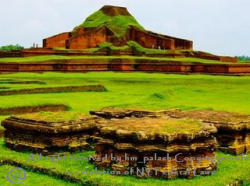 Buddhist Vihara at Paharpur:Evidence of the rise of Mahayana Buddhism in Bengal from the 7th century onwards, Somapura Mahavira, or the Great Monastey. It is actually looks very beautiful. 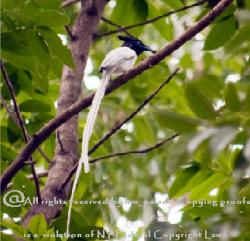 Asian Paradise-flycatcher is a medium sized crested passerine bird. It’s an uncommon resident and summer visitor of Bangladesh. 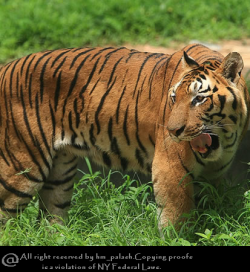 It usually found in thick forests and other well-wooded habitats of Chittagong, Dhaka, Khulna, Rajshahi and Sylhet. 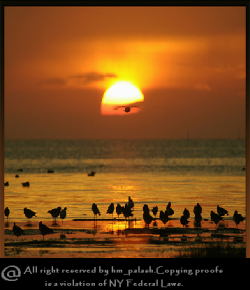 Local name of the bird is Eshio Shah-bulbuli and also known as Dud-raj. National Days: - National Martyrs Day ( February 21). - Independence Day ( March 26 ). Area: Total: 144,000 sq km. ** Land: 133,910 sq km. **Water: 10,090 sq km. Principal Rivers: Padma, Meghna, Jamuna, Brahmaputra, Madhumati, Surma and Buriganga. 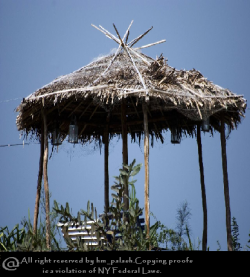 Principal Crops: Rice, jute, tobacco, tea, sugarcane, vegetables, potato, pulses, etc. Fruits: Mango, banana, pineapple, jack-fruit, water-melon, green coconut, guava, lichis, etc. Major Industries: Jute, sugar, paper, textiles, fertilizers, cigarette, cement, steel, natural gas, oil-refinery, newsprint, power generation, rayon, matches, fishing and food processing, leather, soap, carpet, timber, ship-building, telephone, etc. Airports: Zia International Airport, Dhaka, Chittagong International Airport, Sylhet International Airport and domestic airports at Jessore, Sylhet, Cox's Bazar, Rajshahi and Saidpur. 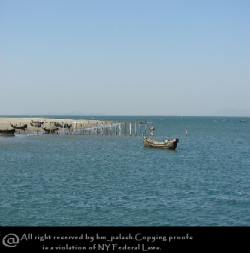 Sea Ports: Chittagong, Mongla, Khulna. 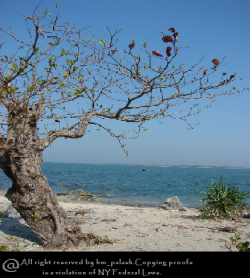 Tourist Interests: Longest sea beach(Cox's Bazaar) , colorful tribal life, centuries' old archeological sites, the Sundarbans (home of the Royal Bengal Tigers and spotted deer), largest tea gardens(sylet), interesting riverside life, etc. 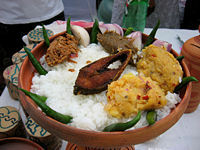 Typical food of Bangladesh is rice, fish and dal. 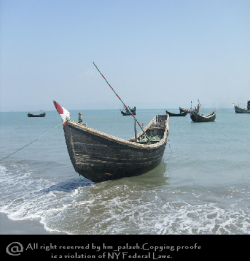 As we all know Bangladesh is land of sea so fish is available here and people get variety of fish. Among all kind of fish hilsa is very popular. Not only that we can see many kinds of vegetable and moreover it's fresh vegetable. Bangladeshis have a unique style of cooking and they uses lots of spices. British used to rule here so in food also we have a western touch also. There are different kind of rice such as plain rice, polou rice, yellow rice, sticky rice. was the youngest son of Debendranath Tagore, a leader of the Brahmo Samaj. Tagore had early success as a writer in his native Bengal. With his translations of some of his poems he became rapidly known in the West.The nobel prize winner poet in Bangladesh. He was a very versatile poet, lyricist and writer who composed many beautiful verses of poems, prose, songs and music. He is known as Bidrohi Kobi - The Rebel Poet of Bengal, The National Poet of Bangladesh. He was a very versatile poet, lyricist and writer who composed many beautiful verses of poems, prose, songs and classical music. 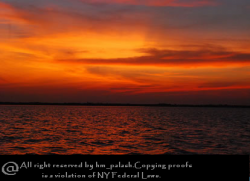 literally meaning "Hason the King", was a mystical poet and song writer from Bangladesh. His family from family near Sunamganj, Sylhet. 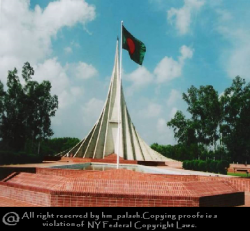 Although his ancestral home is in Rampasha, Bishwanath, Sylhet. 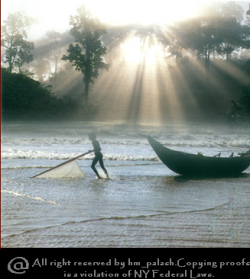 Hason Raja's songs are in the folk tradition of Bangladesh that seeks the "ultimate truth" beyond the material world. They include songs such as "Lokey Bole". 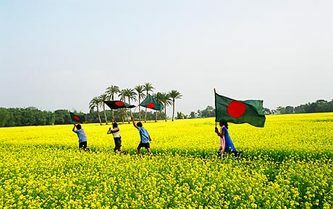 Was a painter in Bangladesh. Like many of his contemporaries, His paintings on the Bengal famine of 1940s is probably his most characteristic work. 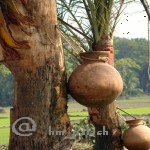 In Bangladesh, he is referred with honor as Shilpacharya (Great Teacher of the Arts) in Bangladesh. Zainul Abedin was born in mymensingh, Bangladesh. Was a poet in Bangladesh, columnist and journalist. Rahman, who emerged in the latter half of the 20th century, wrote more than sixty books of poetry and is considered a key figure in Bangladeshi literature. 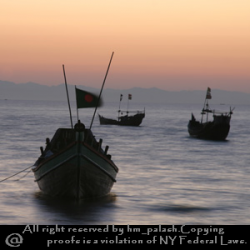 He was regarded the unofficial poet laureate of Bangladesh. Major themes in his poetry and writings include liberal humanism, human relations, romanticised rebellion of youth, the emergence of and consequent events in Bangladesh, and opposition to religious fundamentalism. A rare scenic beauty spot. 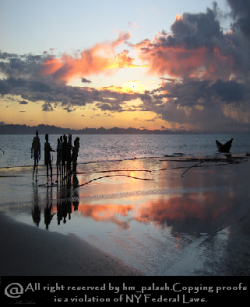 It has a wide sandy beach from where one can get the unique opportunity of seeing both the sunrise and sunsetting. Here in the south, spread over an area of about 6000 sq. km. 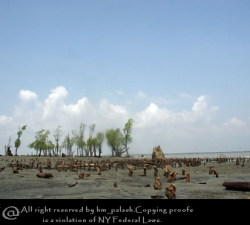 of delta swamps along the coastal belt of Khulna is the biggest mangrove forest, Sundarbans (beautiful forest) - the home of the Royal Bengal Tiger. These dense mangrove forests are criss-crossed by a network of rivers and creeks. 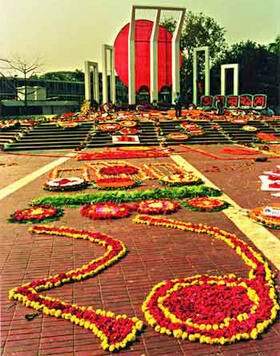 Jatiyo Smriti Soudho (Bengali: Jatio Sriti Shoudho) or National Martyrs' Memorial is a monument in Bangladesh. 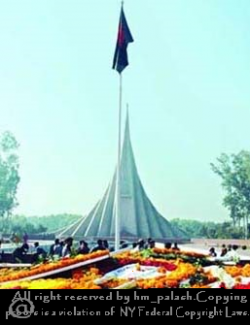 It is the symbol of the valour and the sacrifice of the martyrs of the Bangladesh Liberation War of 1971, which brought the independence of Bangladesh from Pakistani rule.